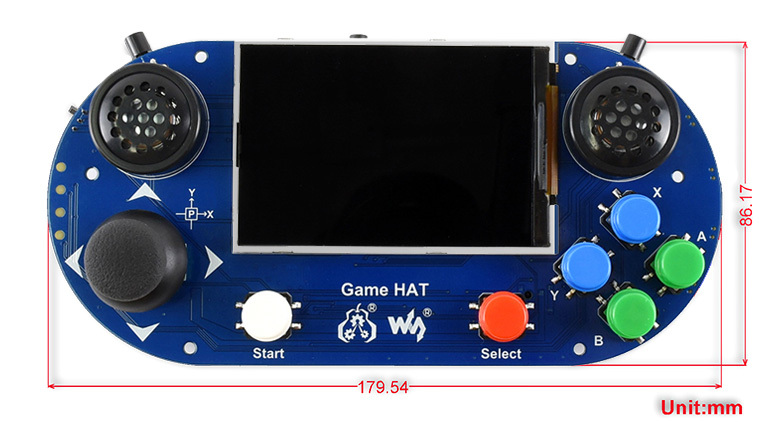 This Raspberry Pi RetroPie Handle Game Console Gamepad with 3.5 inch 480 x 320 IPS Screen for Raspberry Pi 3 B+Plus / 3B / Zero W will turn your Raspberry Pi into a classic game console in a second, recalls you all the gaming pleasures in the memory. Note: the Raspberry Pi board and 18650 battery are both not included. Please focus on the direction of battery, if you reversely connecting the battery, the charging circuit will be damaged, so please pay attention to it when you mounting the battery. Menu, Up/Left, Down/Right, Exit, this four keys on the bottom allow to adjust screen brightness/contrast, volume, etc. Note: the Raspberry Pi board and 18650 battery are both not included. How long could the Li-ion battery last for? And could it supports charging and playing? 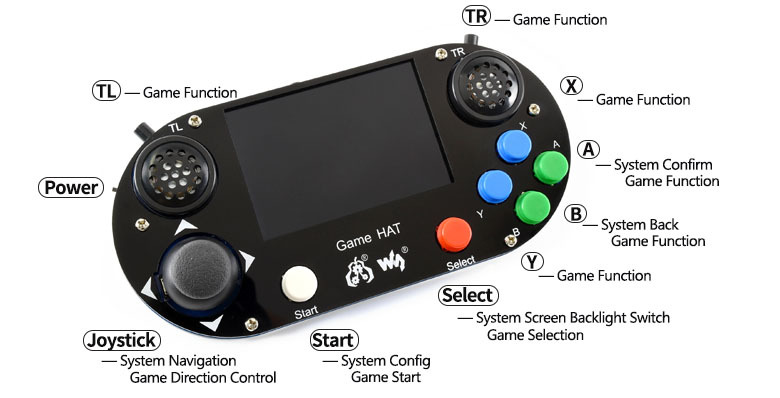 How about the charging voltage and current of Game HAT? We recommend you to use 5V/2A power adapter for charging,and please use high quality adapter. If the instantaneous voltage higher than 7V, it will damage the charge circuit on board.